Tom Stanton has been a journalist for over twenty-five years. A founder of the Voice Newspapers in suburban Detroit, he has won state and national press awards, including a prestigious Michigan Journalism Fellowship at the University of Michigan in Ann Arbor. 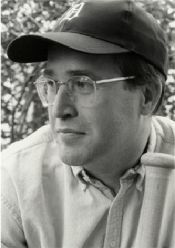 Stanton is the author of “Hank Aaron and the Home Run That Changed America”, “The Road to Cooperstown” and “The Final Season”. “The Final Season” was considered the best baseball book of the year in 2001, winning both the Casey and Dave Moore awards. He also co-authored “Rocket Man: Elton John from A-Z”. Stanton belongs to the Society for American Baseball Research (SABR), Friends of the National Baseball Hall of Fame, and the Mayo Smith Society. Tom reflects on Babe’s personality. Tom shares his thoughts on Babe’s baseball talent. Tom talks about his passion for the game of baseball.